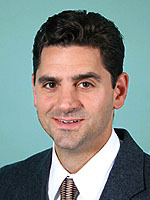 Dr. Vallone is a graduate of Brown University and New York College of Osteopathic Medicine. He completed his Internal Medicine residency at Roger Williams Medical Center. Dr. Vallone completed his Gastroenterology Fellowship at Tufts-New England Medical Center and St. Elizabeth’s Medical Center and served as a Clinical Instructor at Tufts University School of Medicine. He is board certified in Gastroenterology/Hepatology and Internal Medicine.